Great for both cooking process as well as seasoning at the end of the dish. Authentic: Colour, taste profile and aroma. Product Contains Celery, Egg & products of these and Sulphite (=/> 10 mg/kg). • Add 2 tbsp. 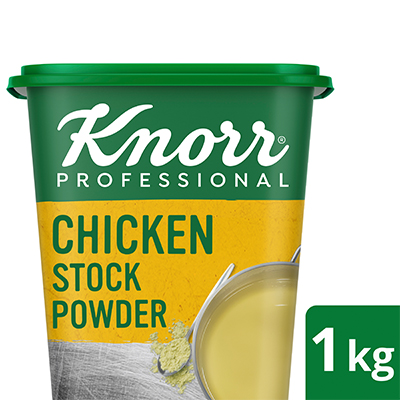 Knorr Chicken Stock Powder in 1 Lit Boiling Water and stir for 5 minutes. • Sprinkle desired amount of Knorr Chicken Stock Powder whilst stir frying to improve flavour.